Kush God aka “Nyck Paul” is the owner of Kush Gods Dynasty, the first mobile marijuana dispensary in the USA from Washington DC! The company operates like a food truck serving marijuana edibles & kush out of luxury cars with kush buds all over them. Kush God has been featured in Hightimes, Forbes, MerryJane, The Washington Post, Fox News, Fusion TV, Dope Magazine, & more. He has faced many adversities starting his own marijuana service in DC. Including, jail time, thousands in lawyer fees, & kush cars seized. 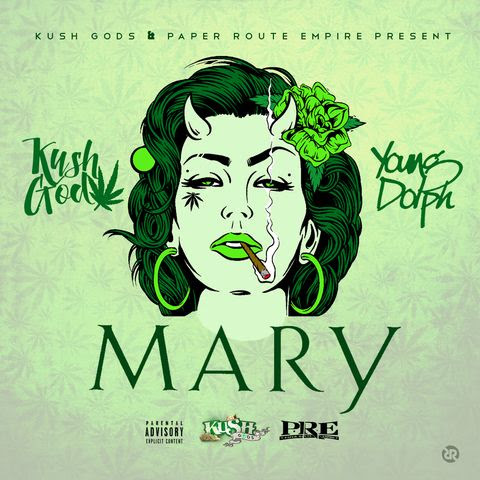 Now he is here to tell his side of the story with his new EP “Mary” ft. Young Dolph.